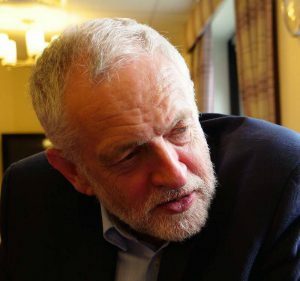 Leader of the UK’s main opposition Labour Party, Jeremy Corbyn Friday expressed “deep concern” over the reports of ongoing torture of Tamils by the Sri Lanka security forces, and stressed that the UK’s foreign policy on Sri Lanka should be focused on accountability, not just promoting trade and investment. Referring to the recent report by the Johannesburg-based International Truth and Justice Project (ITJP) titled “Unstopped: State torture & sexual violence in 2016/17 in Sri Lanka”, he said that the lack of accountability for the crimes of the past has enabled these horrific violations to continue in the island nation. “I am deeply concerned about the evidence presented in this ITJP report about the ongoing torture of Tamils; it is the lack of accountability for the crimes of the past that has enabled these horrific violations to continue and we are all culpable if we don’t speak out loudly,” Corbyn said in a statement on Friday. The ITJP’s latest report is based on detailed testimony from 57 Tamil victims of illegal detention and torture under the Sirisena-Ranil government – 24 of them tortured in 2016 or 2017. Releasing the report in London last week, the ITJP said that the abduction and torture of Tamils by the Sri Lankan security forces “remain systematic because in 30 months the new Government has failed to dismantle the networks of the ‘deep state’”. The ITJP said the ongoing torture “is not the conduct of a few “rotten apples” in the Sri Lankan security forces as it includes senior officers who themselves participate in the torture which is systematic and condoned”. “On the basis of this report, the Home Office must immediately revise its country guidance on Sri Lanka – so that the risk categories match what’s clearly going on there rather than some wish believe view from London,” the Labour Party leader said. police – we need to know if this funding has helped diminish torture or just made the perpetrators better at covering it up,” Corbyn said in a hard-hitting statement. Corbyn’s statement has come within a day after the outcome of the UN Special Rapporteur’s recent visit to Sri Lanka was raised in the House of Commons. In response, Leader of the House of Commons, Andrea Leadsom told the Members of the House of Commons that government MP representing the Cities of London and Westminster Mark Field has “registered our serious concern about the Special Rapporteur’s finding with Sri Lankan High Commissioner” for the UK. The Leader of the House of Commons also assured the House Commons that the British Government would “continue to encourage the Sri Lankan government to deliver against all their UN Human Rights Council Commitments.